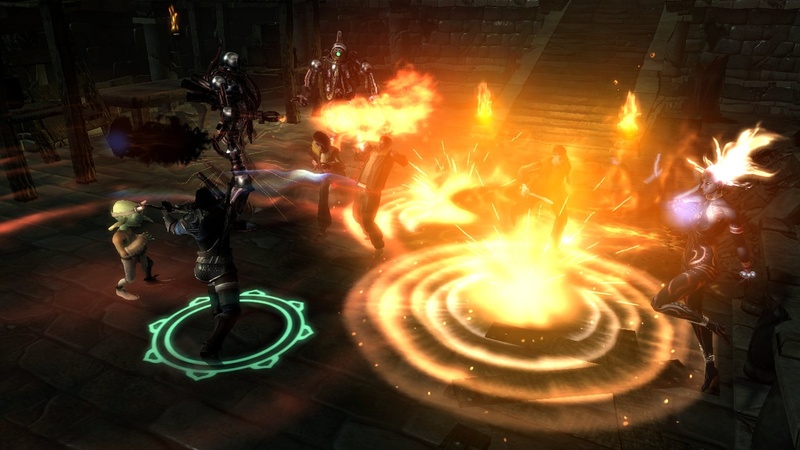 We've got a ton of Dungeon Siege 3 details to share with you today including a new trailer and screenshots, a release date, and some info on the co-op. 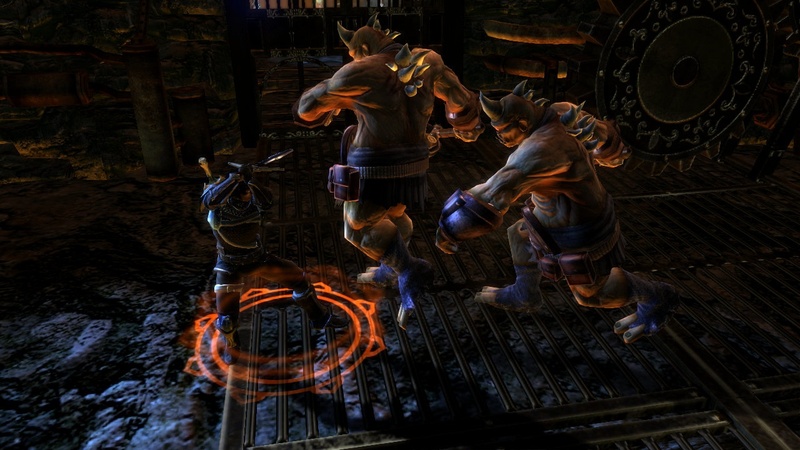 Dungeon Siege 3's official release date on Xbox 360, PlayStation 3 and PC is May 27th in Europe and May 31st in the US. There's no word on the official dates for other territories, but we imagine it'll be within the same time frame. When the game ships it'll have four player online and offline co-op with drop-in and drop-out support. 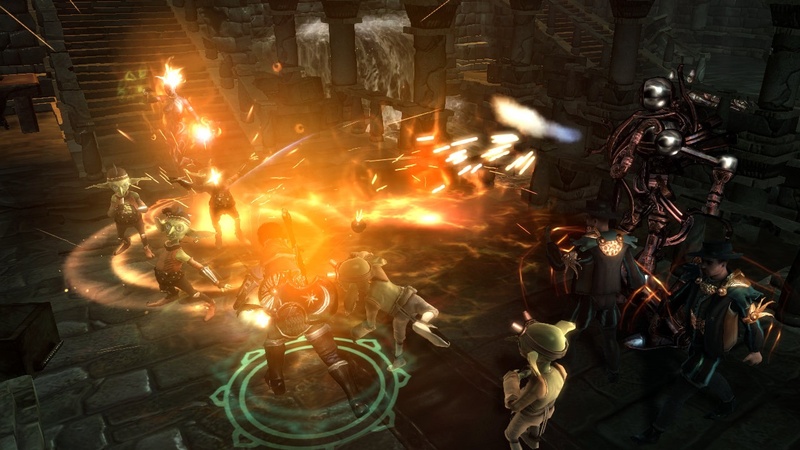 The game is actually quite a bit different than its predecessors, with a more action focused adventure RPG. Most people that have played it says it almost feels a bit like Fable rather than Diablo. 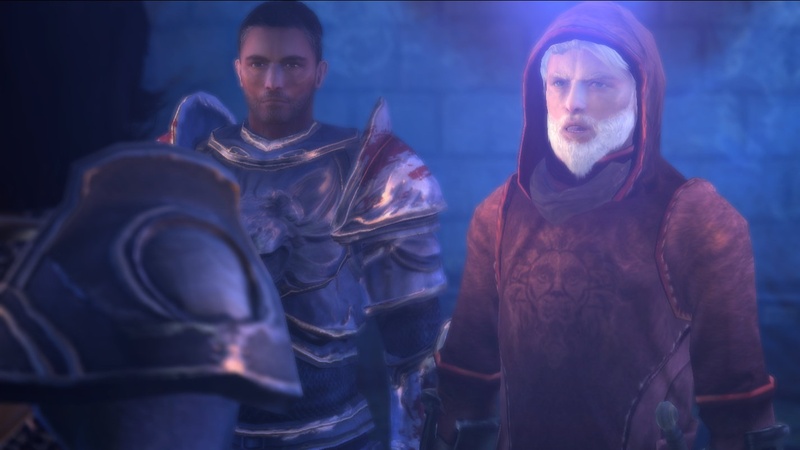 But one thing the game might be borrowing from Fable 2, that we'd rather not see it borrow, is the way it handles co-op. Namely the game isn't going to allow you to bring your own character and or experience into a friend's game, instead, you'll basically play as henchmen like guests. In the full release, you'll be able to manage a party of up to four heroes, either in a single-player game where you control all four characters, or with a group of three other people in co-op mode. Two players may share the screen locally, and you can bring in two more players online. The other players will serve as assistants to one main player, and no progress will be carried over to their game. 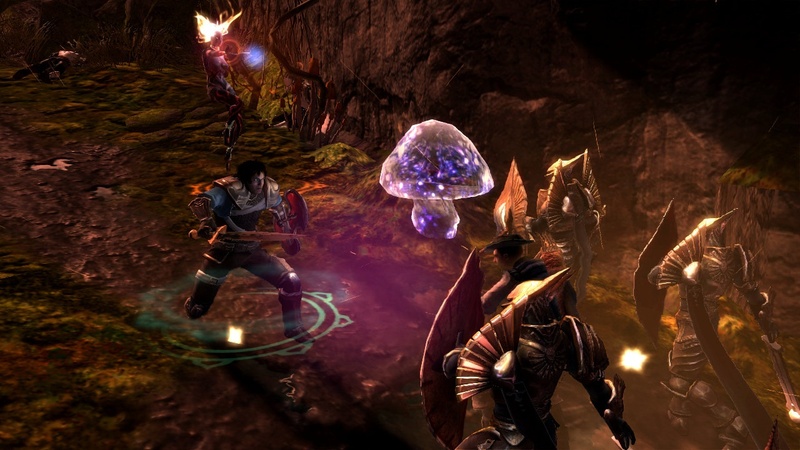 It's not clear if loot will be carried back or not either - and from the previews we've been reading - it seems loot is a MAJOR part of this game, as it has always been with the Dungeon Siege series. What's interesting is, according to another preview on the web, Square-Enix actually isn't showing off this co-op mode yet in the previews they've been giving. So even though Gamespot mentions it, it's not something being actively promoted. 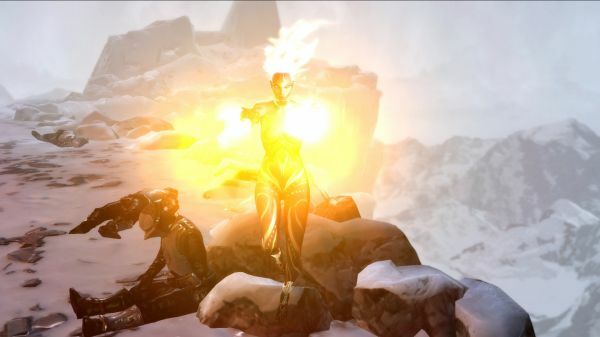 We can only hope that this is because Obsidian, the game's developer, hopes to add in some true co-op capabilities. After all, we all know how much people despised the lack of saving your own progress while playing in games like Fable 2 and Dead Rising 2. 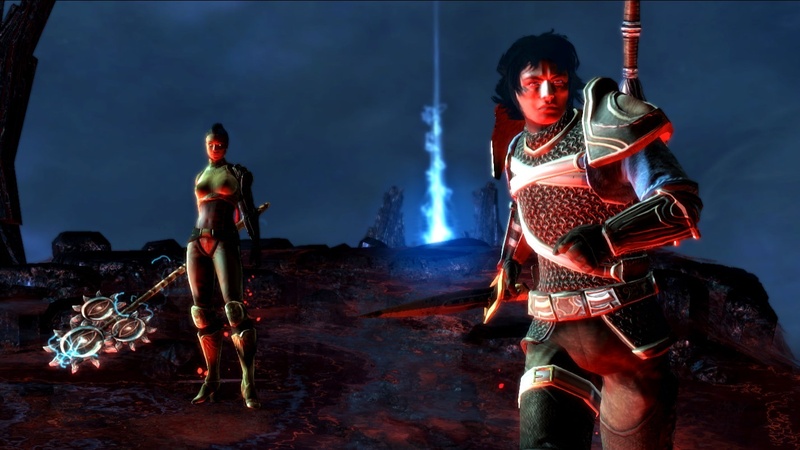 It becomes increasingly problematic in RPGs where the length of the game comes into play. These guest players need SOME incentive to join random strangers and/or friends online. Rock Paper Shotgun has a lengthy preview of the game that focuses on the core gameplay mechanics and it sounds like Dungeon Siege 3 is going to be a beefy affair - mixing ideas from numerous other titles into something pretty engaging. The result is a completely different game – or to be more exact, about four or five different games, thrown into a blender and pureed. From every other console hack-and-slash, we get the new camera and control systems – now up close (with the option to pull back a bit) to better follow your hero as you mash buttons to swing your sword and unleash the fury. Talk to a character and the Mass Effect conversation wheel pops up. Facing multiple enemies? You can switch between multiple combat styles, just like The Witcher. Get lost? Fable’s golden breadcrumb trail will point you in the right direction – although unlike Fable, it only appears on command, so you shouldn’t have that same sense of being dragged by the nose from encounter to encounter. Etc. With almost a full four months to go till release we imagine the hype and information on Dungeon Siege 3 is going to continue to pour out. We'll keep our fingers crossed for some better co-op news, but for now, enjoy some new screenshots from the game.